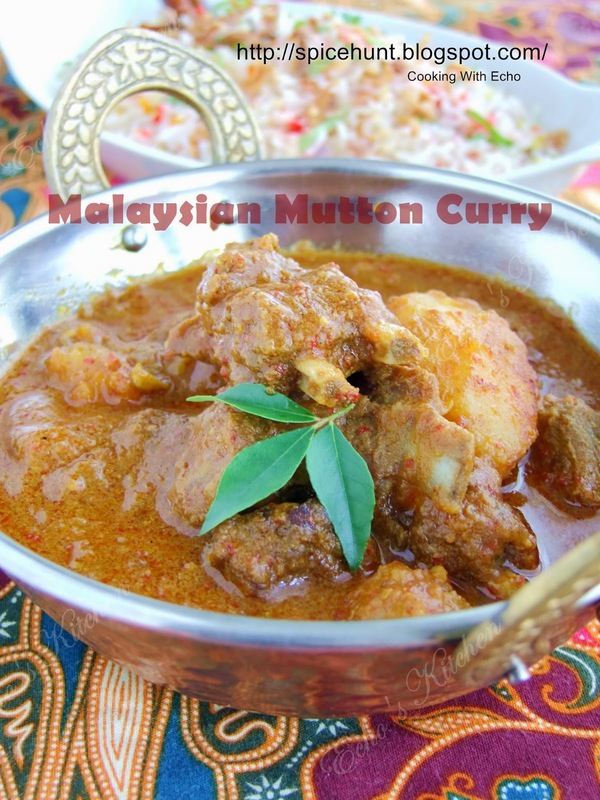 This Mutton curry is normally prepared during festive seasons and we will also make ROTI JALA （lacey crepe）to go with it. We planned to go for a 2 nights outing this long weekend, the lodge that we have booked is pretty far from town. So we decided to bring some foods for lunch and dinner. This mutton curry is what I prepared to go with ghee rice. I can't wait for our vacation to start! 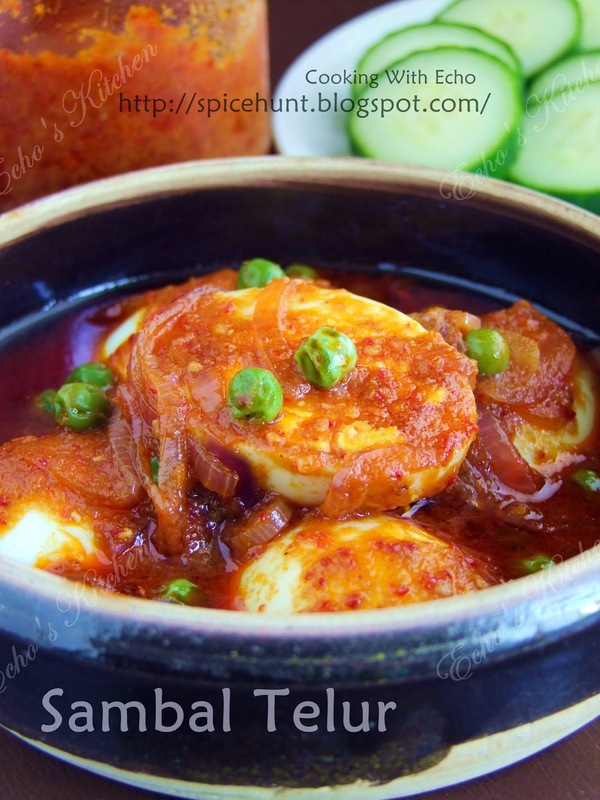 Egg is well loved in my house and this simple yet super delicious Egg sambal is a very versatile dish, it goes well with fried noodle/rice noodle, fried rice as side dish, it even taste awesome with just plain rice! I made this today to go with my long bean rice. So long bean rice with Egg sambal, dinner is served! Fried banana is a very common snacks back home, a sweet childhood memory of mine. I would asked some money from grandpa during those hot afternoon and ran to the small Malay stall that sells fried banana and Cendul. I would buy a packet of cold cendul and some fried bananas, walking home slowly and enjoy the hearty snack. I have tried to avoid giving shop bought snacks to A with some exception like goldfish crackers, it is not that these crackers are any better than other stuff kids normally have. The only reason he gets this "treats" once in a while is because no matter how we try, he is going to eat some junk foods anyway. So savory ones is better than the sugar filled stuff. Besides, he starts liking goldfish as he gets it in the daycare for snack. 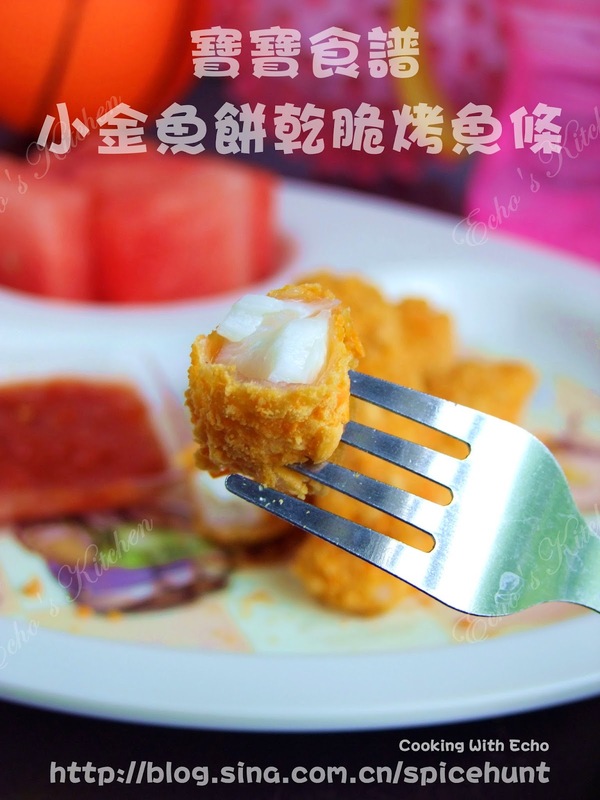 I saw this ingenious idea of making goldfish breaded chicken sometimes ago while searching for ideas to make A's food. I have been wanting to introduce fish to his diet for sometimes. He definitely doesn't fancy salmon and have no interest in any type of steamed fish. So I came up with this idea to make goldfish breaded fish fingers, with the hope that his liking for goldfish will lure him into eating some fish. He did liked it and had 4 sticks at dinner! This Sambal Tofu is a good example of "Trully Malaysia" food, tofu as Chinese traditional food, and sambal the Malay, and guess what? It is often served by the Indian! Simply love the combination. This is one of the best salad to have in this pipping hot summer. 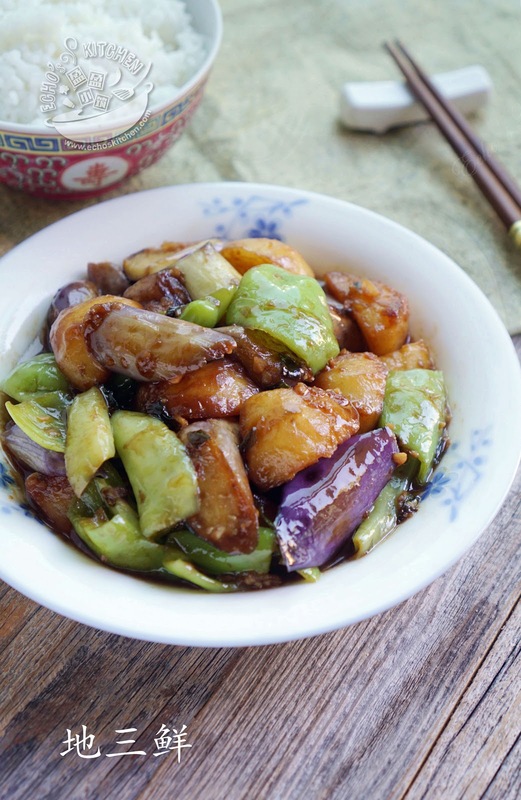 Its sweet and sour taste makes it interesting, just make sure you chilled the vegetables for a while in the fridge before mixing. This is all I needed for my lunch. This is a very traditional North Eastern Dish from China that I learnt from a friend. I made it for my family when I visited Malaysia the last time, to my surprise, everyone loved it! Including my brother who had never fancy vegetarian dishes! 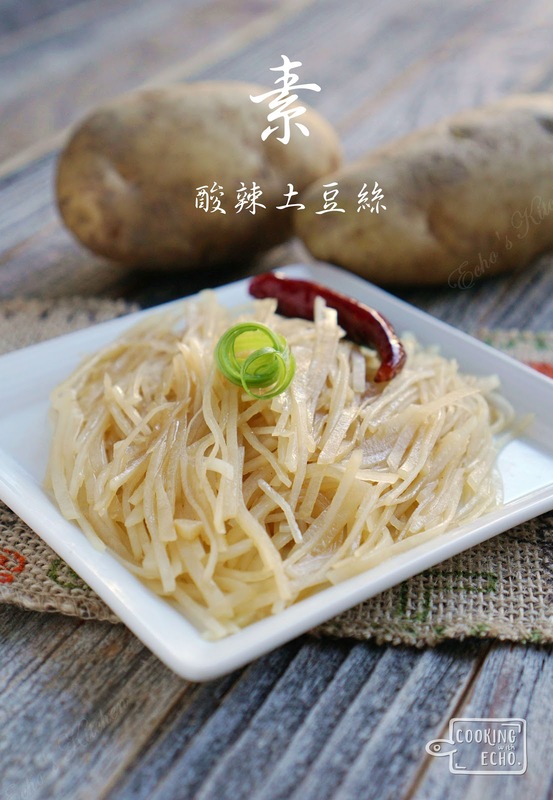 I promise mum that I will write a recipe for this dish as soon as I reach home, and here it is! A started a new daycare last week, he protest every morning and got really worked up with the fact that he has to go to daycare everyday, this changes of his routine literally turn his life and mine upside down. He didn't sleep well, wakes up multiple times at night and nurses more than ever. But there aren't all that bad, his appetite increases after daycare and he eats more real foods now comparing pre-daycare time. And I have more time preparing his dinner before picking him up everyday! He loves this meatballs so much that I was surprised, I initially made only 5 meatballs for him and thought to myself that if he could finished them all, that would be great. But then I can't be more wrong! He asked for more twice and ended up eating 11 pieces of meatballs with all the peas, carrot (I cut into star shapes which he really appreciate!) and vegetable. He had only a spoon of the rice but I was already out of the world. We used to lived near Malaysia-Thailand border for couple of years when I was a little kid, my family often go over to "the other side of border" for shopping and good foods. 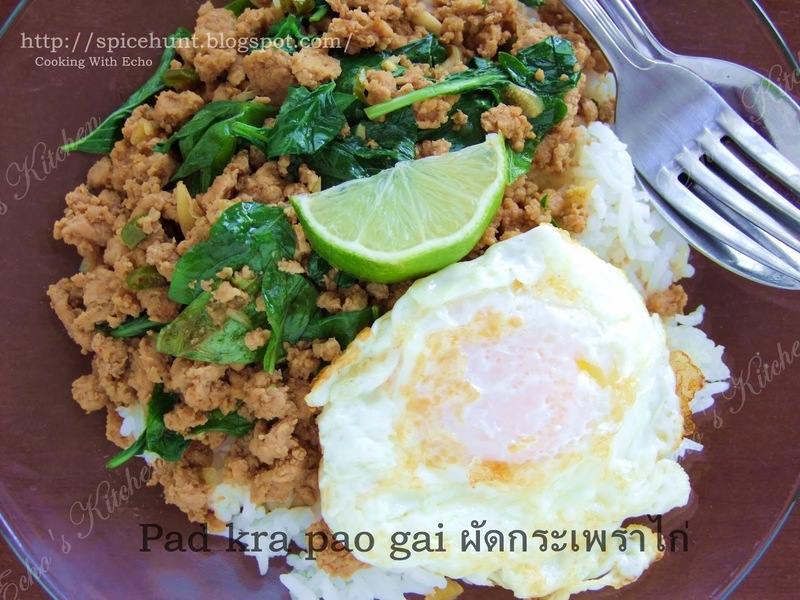 This dish is one of our favourite dishes. 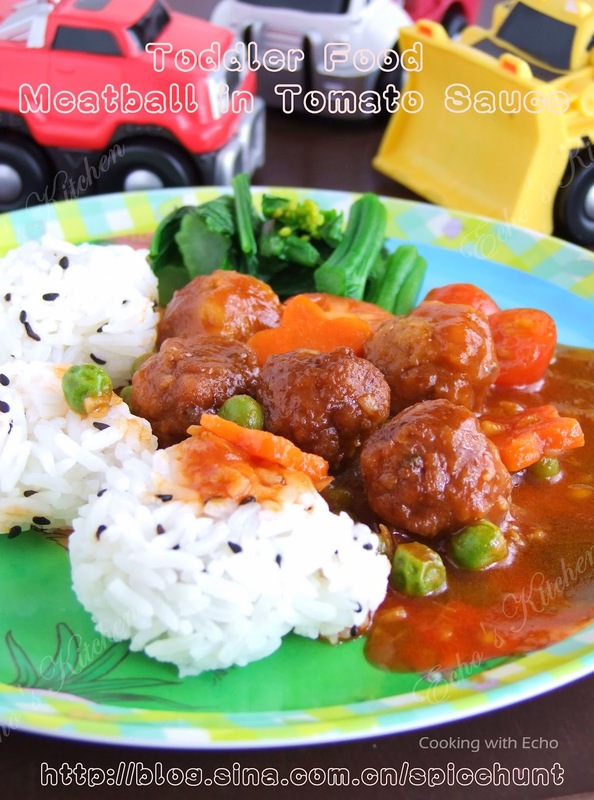 It could be made with not just minced pork, variations includes minced beef or chicken, I used turkey in my version, and still taste as amazing! I was at a Ramadhan-FB-pictures-lead-craving-for-Malaysian-foods phase for couple of weeks. That explains the frequent posting of Malaysian dishes here lately. 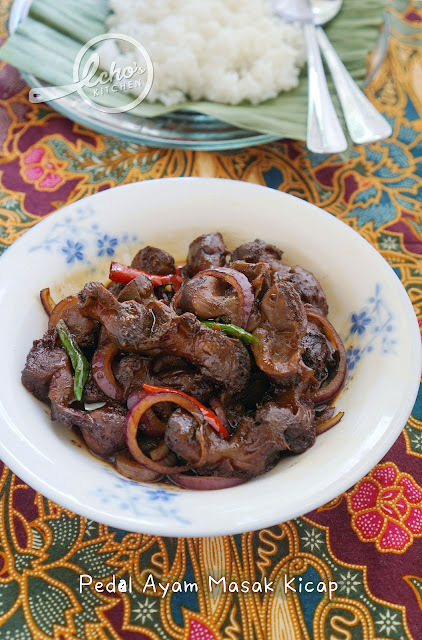 Here today is yet another typical Malaysian dish, Chicken gizzard in soy sauce. Chicken gizzard is not a common ingredients in my kitchen, mainly due to the reason that I have reduced eating organ meat for a long time. One day when I was shopping for grocery, I saw this cleaned and packed gizzard and thought to myself, it has been a long time since I have this. I bought one packet and made this pedal ayam masak kicap for lunch. There is a small Indian grocery shop near where I live that I shop very frequently, I have a habit of picking up something whenever I pass by. As I shopped there often, the cashier became acquainted with me, we will sometimes have a little chitchat while she work through scanning the products. One day I saw that they were carrying fresh radish with long bushy leaves. 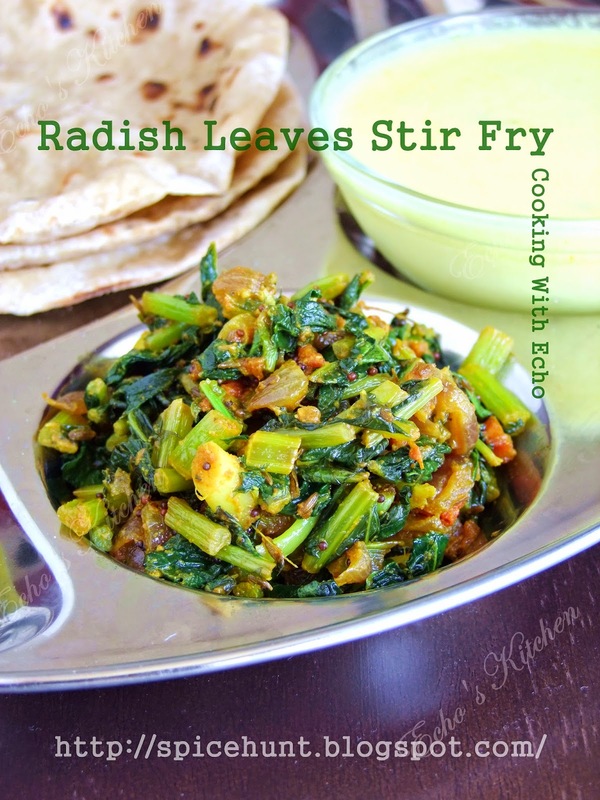 I took two and thinking of making radish paratha for breakfast and save the radish leaves to make stir fry that my mother in law once made when I visited India. The cashier was so happy to see that I bought the radishes with the leaves, she told me that they cook the leaves in her village but here in the states many shopper removed the leaves and left it at the vegetable display isle, she finds it a waste and feel really bad about it. She asked how I would prepare the leaves, I told her my plan and she was all laughing and delighted. "That is how we make it back home!" she cried out loud. I left the shop feeling good that I didn't waste edible stuff that mother earth produced, I proceed to go home and made this stir fry for lunch. A become thinner by the day ever since he started walking, it gets worse in the summer as we spent so much time out door doing physical activities. He just burnt more energy than he consumed! I had hard time getting him eat more, so the next best thing is to give him high calorie foods so that whatever he manage to eat will give him more energy and nutrients. The other day when I was going through my pantry I saw this packet of cashew nuts that I keep basically for Indian sweets and cooking. 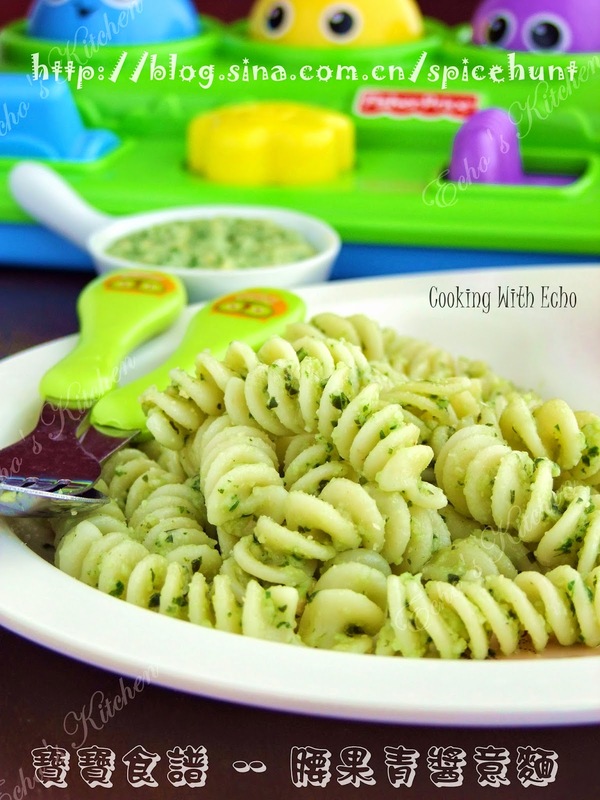 Since I had some Fussili boiling on stove, I went out to my neighbor's backyard and harvest a bunch of sweet basil that he told me to feel free to use and made this cashew pesto Pasta, A had almost a full plate, which is a good sign.